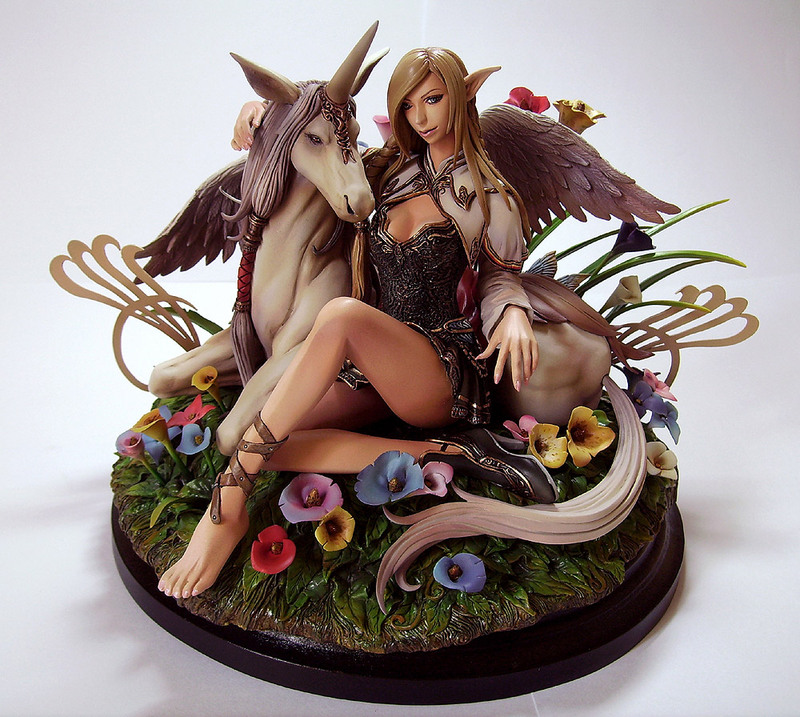 Please note that this is an unbuilt resin kit. Assembly and painting will be required. If you would like to purchase the pre-painted version please contact us for more information. 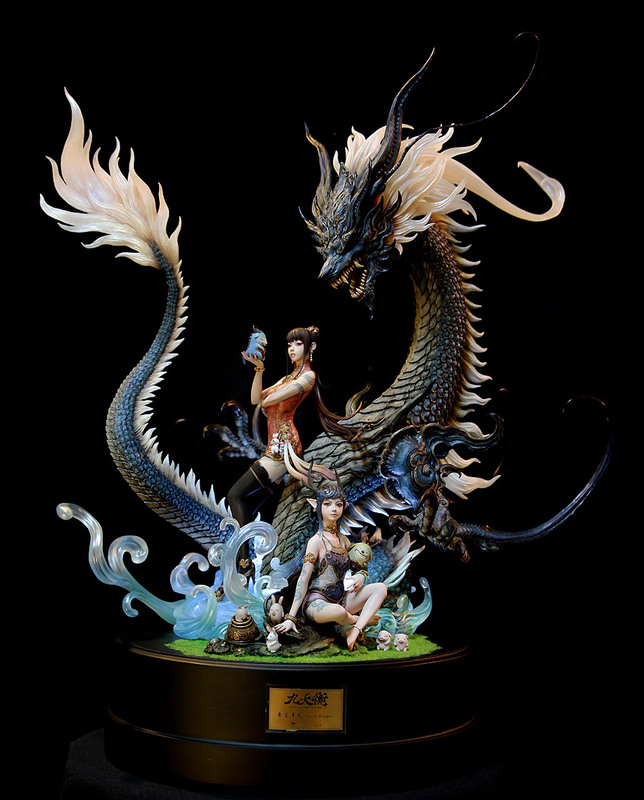 To present the harmony of Yin and Yang— like most of the PKking’s design, this work created a balanced scene by putting together two tender girls and a mighty monster. This figure is quite exquisite. 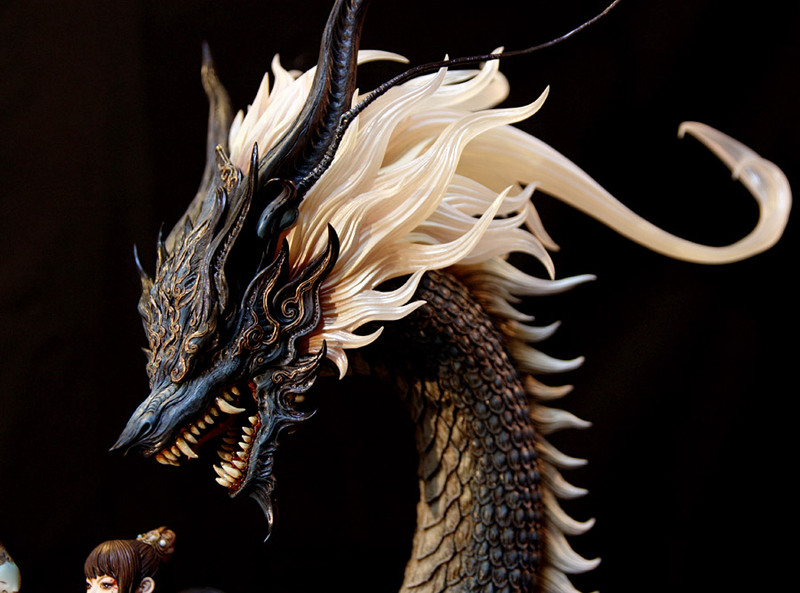 Details like scales and shell-like armor could be a skillful thing to paint, yet your techniques could be challenged and proved through the whole finishing process. Hers is the rear view of Azure Dragon. From the back of the girl, or the claw and tail of the dragon, you can see how delicate it is and how much time PKking spend on this work. Therefore, you know it will be truly awesome to own something like this and put it on display. 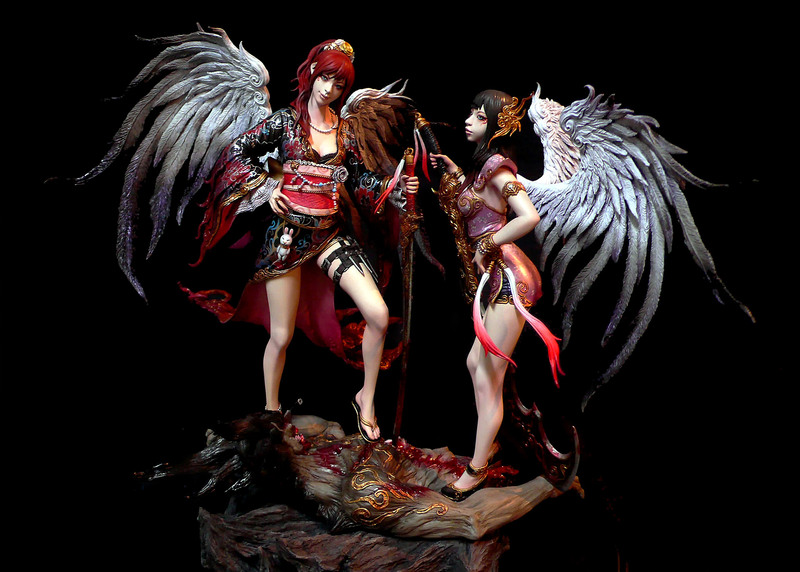 LIJI & XIAOWEI came from eastern races, and XIAOWEI is a descendant of the tribe who’s good at using the broadsword, both of them were skilled in martial art, and became sworn sisters after they met each other. After death, their spirits had become goblins and live in the broadswords. When Kirin owned the broadswords, LIJI & XIAOWEI made a deal with Kirin and became his helper to fight against the MONSTER BARRETTA, and it’s a cooperation between gods and goblins. 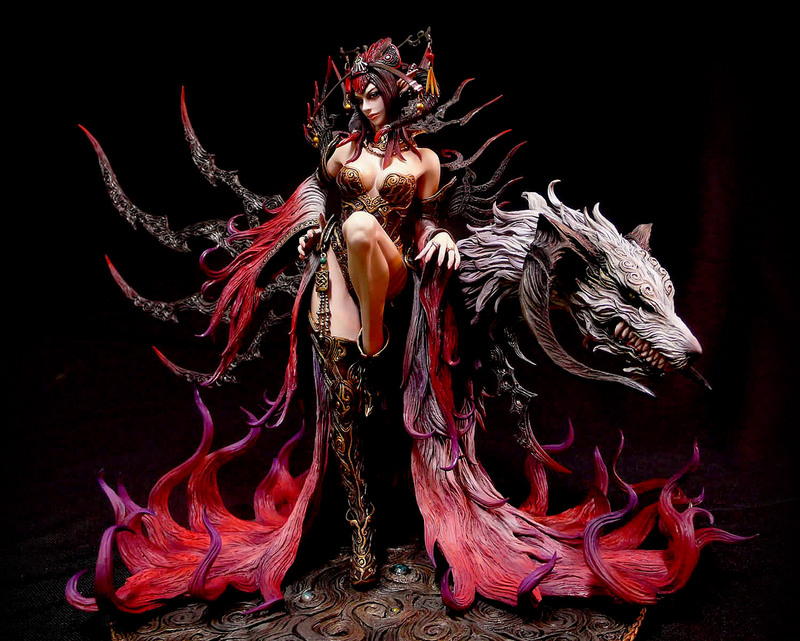 After making a deal with Dark Fox, Yan Ji obtained the ability of Dark Fire, and she ruled YEAN with NEI Long after they became imperial kinsman and kinswomen. No one can survive from the hunting of Dark Fox, the spirits of human beings are his delicious dishes, and YEAN was gradually close to extinction due to their dominion. If you like pkking's work, please press like to support his creation.